Ecological Economics is a field preceded by many great thoughts and thinkers across disciplines. An essential collection of concepts, made to frame the world is certain ways. Transdisciplinary concepts in second-order cybernetics deal with this ‘framing’- and thus allow us to link our ‘observation’ to our living experience and ethical grounding. These concepts make science ethical and ethics scientific. This project is based on an article presented at the International Society for Systems’ Sciences 2016, which addresses ‘participatory realism’, in Ecological Economics, and the necessity for developing ‘organizational closure’. While that paper was theoretical, this project is focused on communicating and transforming society toward a sustainable economic paradigm. This is a campaign designed to elicit commitment from companies to be conscious of the image of the human which they are projecting both internally and in advertising. The new hip consumer is ethical and ecologically oriented. 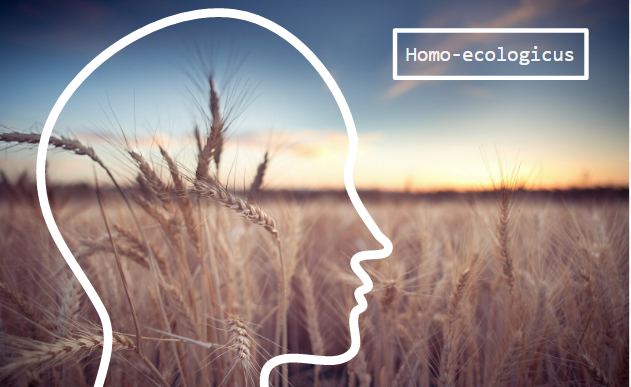 This is a cultural shift from the portrayal of homo-economicus whose life is defined by material well-being and self-interested rationality to homo-ecologicus, who is a participant in the ecosystem, who acts consciously and ethically toward other species and future generations. This campaign is starting as a slow movement, and envisioning process, but will eventually serve as a network and set of resources for modelling and enacting this vision in management and marketing; and further provide opportunities for collective campaigns. 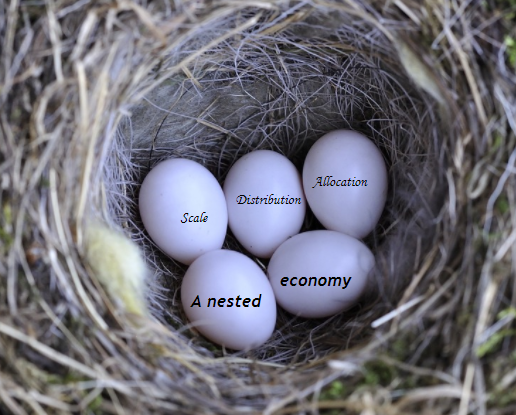 The Nested Economy Campaign is designed to put the economy in its ecological context. This campaign works to promote imagery and messages which illustrate the economy’s deep dependence on Ecological services, and embeddedness within the ecosystem. The campaign, intrinsic to advertising should elicit gratitude, wonder and appreciation. This campaign also is starting as an envisioning process but will ideally grow into a network of committed organizations with resources, images and strategies to share. 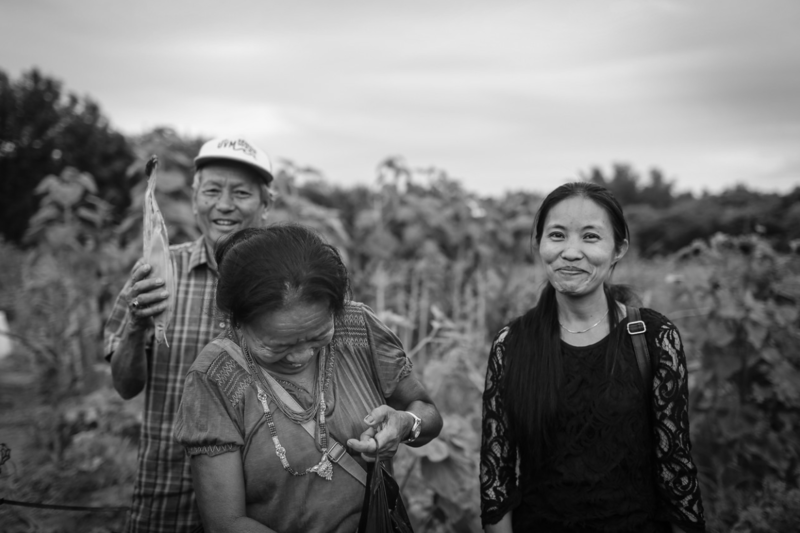 This project is informed by two chapters from Skyler’s Master’s thesis, which envision a local food economy, urban agriculture, and novel governing systems and economic institutions, which steer the food system toward compatibility with the Anthropocene.